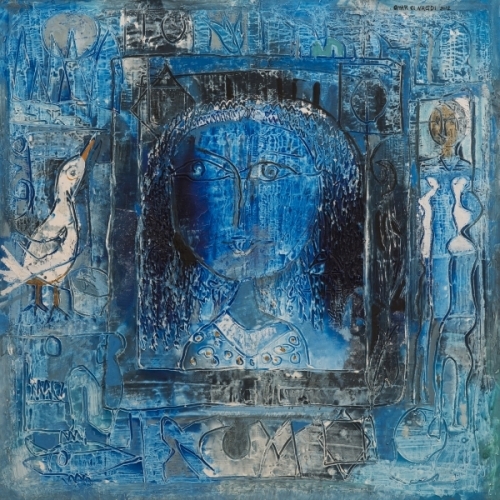 Al Masar Gallery for Contemporary Art has the pleasure to hold its Fourth solo exhibition by renowned Artist Omar El Nagdi titled; “Surrounding Memories”. The exhibition showcases paintings depicting the artist’s memories of surrounding sceneries of which he kept in his subconscious. It is the memories of scenes captured from his daily life that haunts him till the moment he walks into his studio to bring them out into tangible reality. Every painting is an expressive reflection of an incident that evoked his emotions enough to make it to his conscious through marvelous masterpieces. 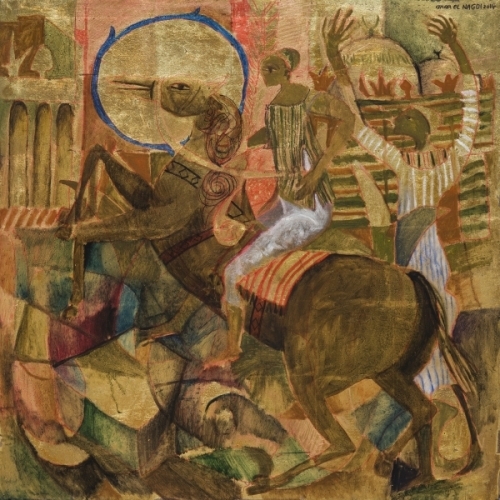 El Nagdi’s pictorial vocabulary is rooted in his home country’s politics and in the lives led by Cairo citizens. 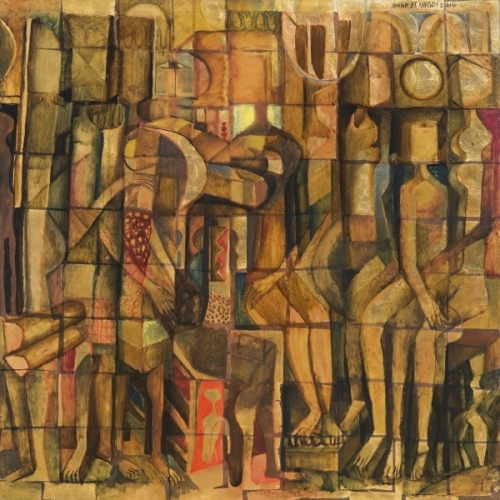 He obtains such profuse imagery by combining poetry with elements inherited from 20th century artistic trends namely Expressionism, Cubism and Fauvism. The paintings in this exhibition fuse different sources of inspiration. 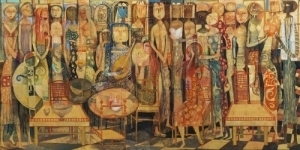 El Nagdi depicts the jovial and opulent festivities of Egyptian traditions in many of his paintings. Bright colors highlighted by gold leaf in some areas burst out from some of his paintings. The dynamism rendered through the complex composition of figures and decorative patterns echo the lavish festivities & social traditions. 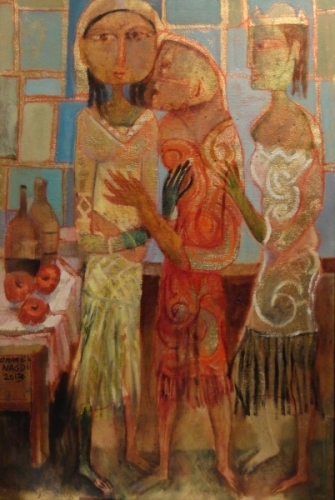 El Nagdi paints the liveliness of Egyptian social traditional scenes. 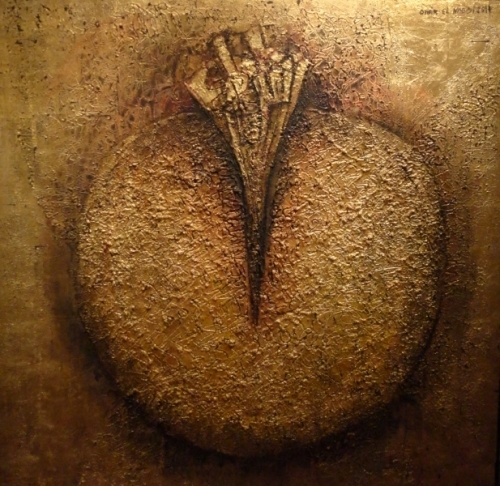 The exhibition features 37 most recent artwork together with older paintings in both Oil and Gold Leafs infused with mixed media in various formats. 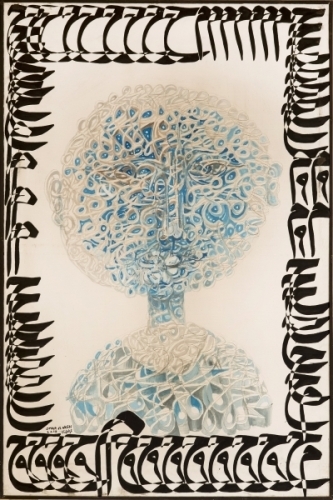 We look forward to welcome you to view this significant exhibition by pioneering Artist Omar El Nagdi that is not to be missed.